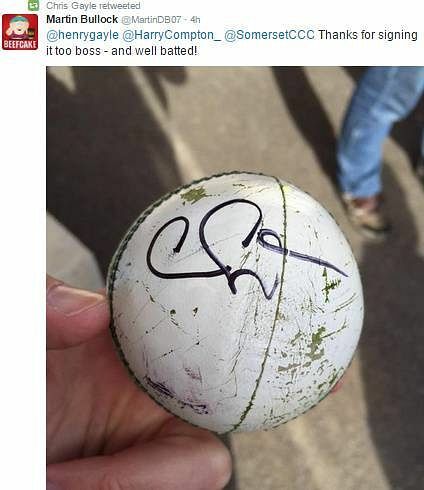 How far would you go to collect a souvenir from a cricket match? Stand in line for hours after the match, bid huge sums at auctions, or to take a leaf from the book of British cricket fan Martin Bullock, just dive into a river. 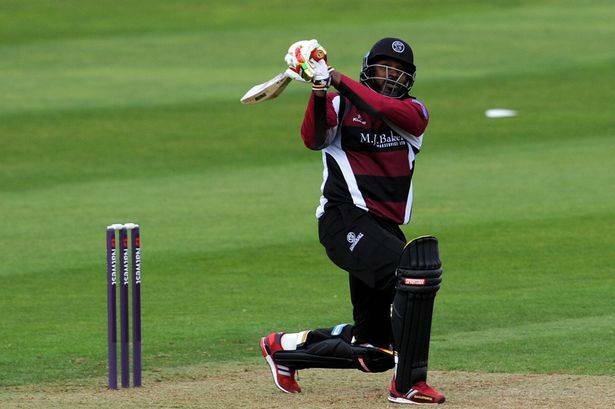 Chris Gayle, playing for Somerset in the ongoing NatWest T20 Blast, went typically berserk on way to his unbeaten 151 off 62 balls against Kent on Sunday, quite unbelievably coming in a losing cause – Kent winning the match by 3 runs. The 15th and last six of Gayle’s innings, which came of the very last ball of the match, landed into Taunton’s River Tone. 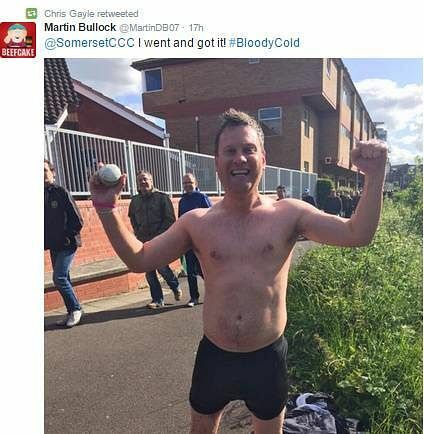 Somerset fan Martin Bullock was so determined to keep the memories of the exhilarating match he had seen with him for life that he jumped into the river and swam to bring the ball back to shore. “Take a bow sir – that was quite sensational today! I swam for my souvenir at the end,” he tweeted. 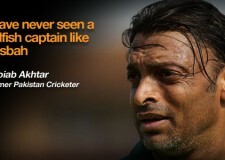 “Never seen cricket like that before! 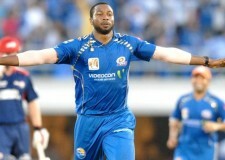 Simply breathtaking from Chris Gayle,” added Martin, who was filmed swimming for the ball. 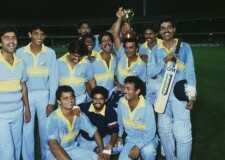 Gayle, always one to be friendly with fans – especially for fans as dedicated as to jump in rivers for his sake – tweeted his appreciation after having seen the footage of the incident. The 35-year-old Gayle is the first man to score more than 150 twice in the T20 format and holds the most T20 centuries in all with 15.